The first Roger Koenig and Green Frog show, that has been reviewed ‘This was the Rock Island’. It proved to be a really good release. This newer title contains additional railroads. Plenty of Rock Island action too. Santa Fe, Gulf, Mobile & Ohio, with Amtrak, as the main players. 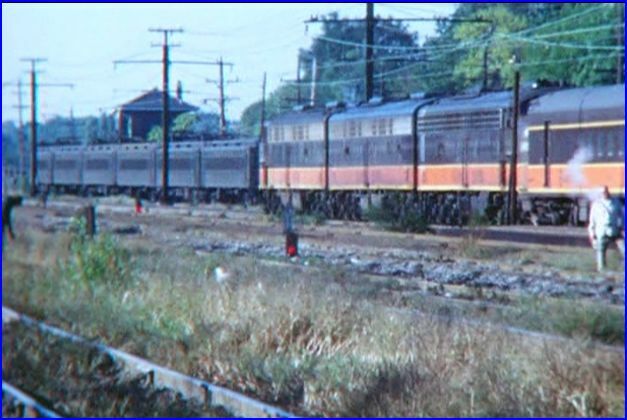 Cameo appearances that do include: Chicago & North Western, Chessie System, Baltimore & Ohio Chicago Terminal Railroad, Illinois Central Gulf and Penn Central. Filmed on 8mm and Super 8. Digitally processed by Green Frog. Narrated by Peter Youngblood. Original audio. Chapter menu. Narration on/ off. Joliet is a frequent location. Gulf, Mobile & Ohio’s F3A led ‘The Plug’ is shown. This once daily to Chicago was classic! The Plug is perfect train for model railroaders. Another GMO Plug is behind F3A 880B. Riders sometimes experienced, no heat or not enough heat, in cold weather. They knew to dress warm for the commute! 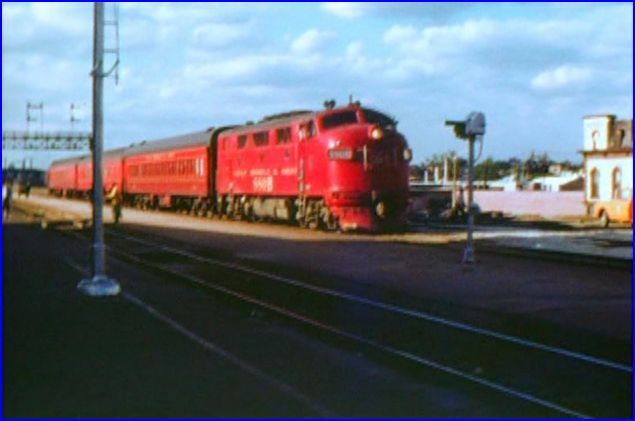 A combined Santa Fe Texas Chief and Super Chief are viewed. Joliet station is a busy place. 1971 continues here. The long passenger train, approaches Joliet. Check the 5 F- units! 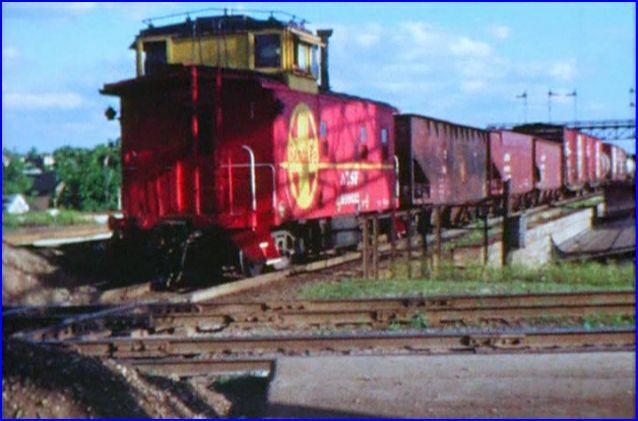 Ever see the shiny F7 warbonnets on a freight? You will find that in this program. 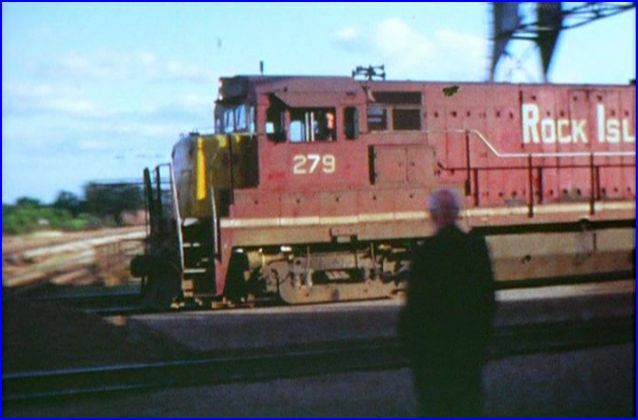 A General Electric Universal series locomotive pulls a freight through Joliet. 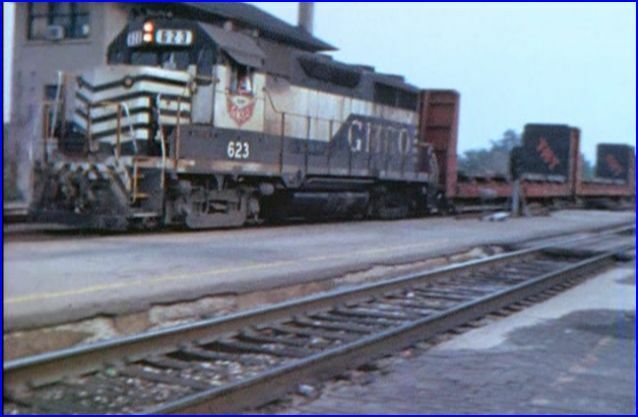 Homewood, in 1971, is shown on the Illinois Central. Amtrak exists now. A random assortment of US passenger equipment, too early for repaints. Note that the ICRR electrics are still using 1920’s era equipment! Blue Island and back on the Rock Island. By opting out of Amtrak, original passenger trains still exist on the Rock. Old and recent, passenger cars are seen in service. The film continues around Chicago and Joliet. There is too much time is spent on passenger trains. 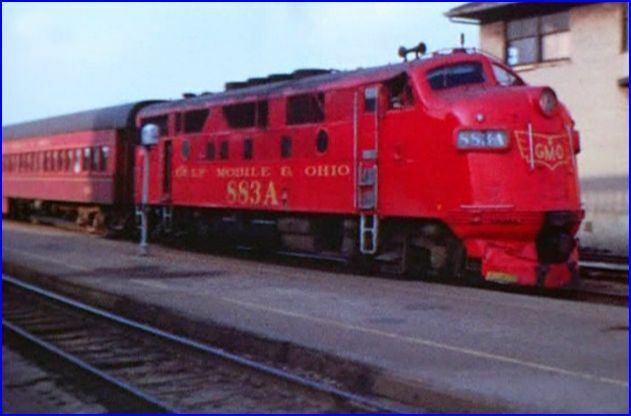 Variety of locomotives and ancient passenger cars are worth viewing. Santa Fe worktrain has a captivating consist. 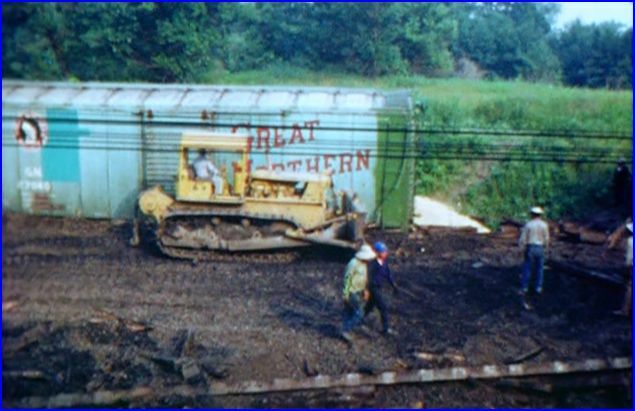 A fascinating segment of a big 1971 freight train derailment. Classic 40′ boxcars in distress. See the progress of the large workcrew. Roger wouldn’t get that close to the area nowadays! 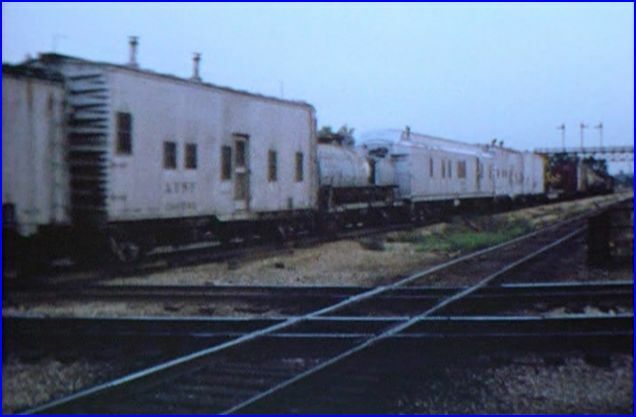 There are early Amtrak ordered locos and cars, some were quickly pulled from service. 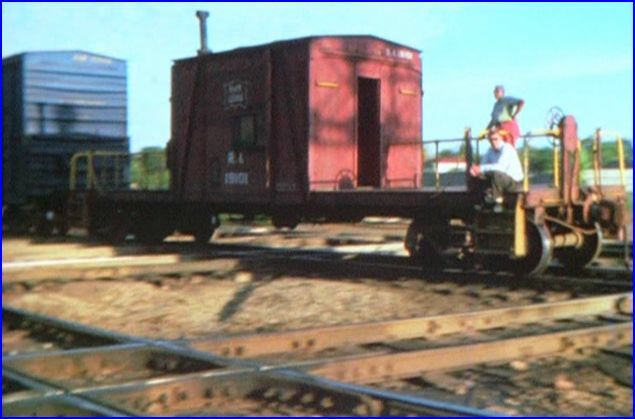 Rock Island freights of that time, were still pulling some wood cabooses, and steam era freight cars. The heavily weathered locomotives were a sight! I would have liked more freight trains. Keep the boring 1980’s era RTA, and modern Amtrak that detract the film. 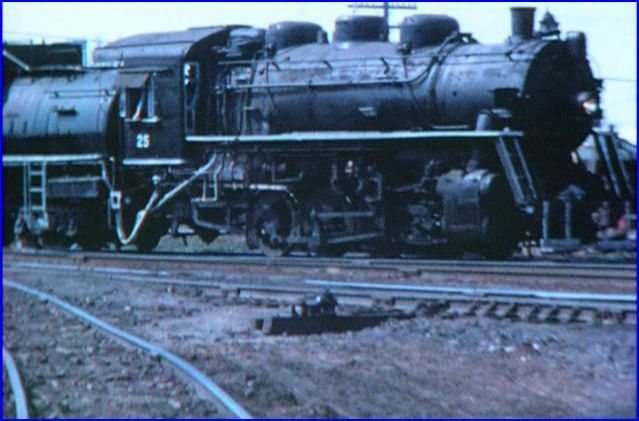 A 1970 trip to Northwestern Steel and Wire, showcases the last steam fleet in daily operation, in the US. Quality. Super 8 and 8mm film is shot well and does look good. Sound is excellent. Narration is solid. Informative and professional announcer. This volume has some great moments. 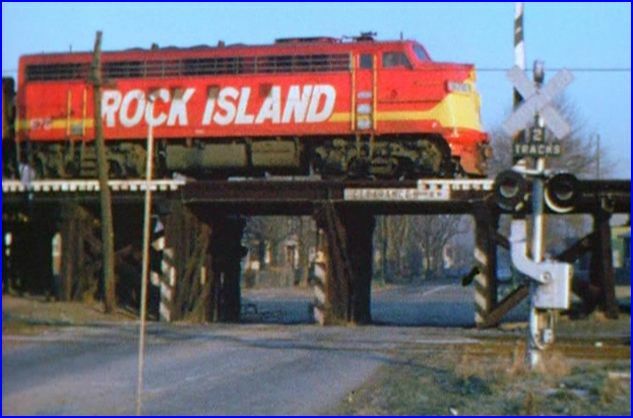 Some rare locomotives are operating on the Rock Island. Overall, it feels like some filler was used, as on repetitive passenger train views. By the way, Joliet and Sterling have never been considered ‘southwest Chicago’. Homewood is a far south suburb. In fact, Joliet is an outlying separate city. The title description is slightly off the mark. However, the trains are the point. Chicago Southwest does offer some good 70’s period trains. Any railfan or modeller, will find this to be a fairly interesting visit, during the 1970’s. This entry was posted in ATVR Reviews, Green Frog Prod. 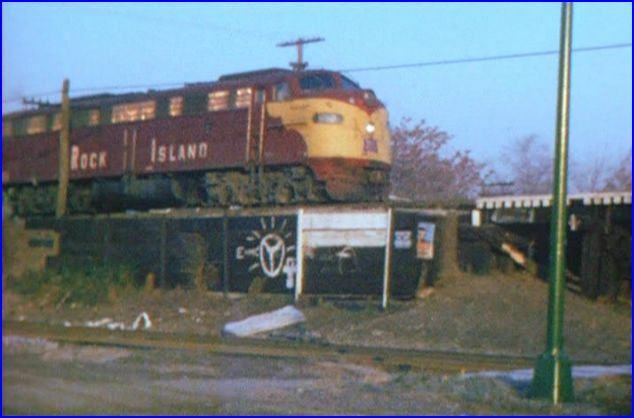 and tagged Amtrak, Chicago railroad, Penn Central, Railroad, Rock Island, Santa Fe, Steam, transportation by William J. Hudson. Bookmark the permalink.